Six UI faculty members have been chosen to be 2002 University Scholars. The program recognizes excellence while helping to identify and retain the university�s most talented teachers, scholars and researchers. The scholars from the Urbana campus were recognized during a reception and dinner Feb. 17 at the Krannert Center for the Performing Arts in Urbana. Now in its 17th year, the program provides $10,000 to each scholar to use to enhance his or her academic career. The money may be used for travel, equipment, research assistants, books or other purposes. Seven scholars were recognized at the Chicago campus and one at Springfield. "A University Scholar designation is the highest honor we bestow upon our young faculty," said Chet Gardner, vice president for academic affairs for the university. "This recognition is especially meaningful since recipients are nominated and selected by their peers. These awards not only acknowledge the superb accomplishments of the recipients, but also symbolize the university�s commitment to foster outstanding people and their work." Since the program began in 1985, 377 scholars have been named and about $8.6 million has been awarded to support their teaching and research. Funding for the program comes from private gifts to the Advancement Fund of the University of Illinois. Richard D. Braatz, chemical engineering: A member of the Illinois faculty for eight years, Braatz has produced groundbreaking results in theory and algorithms, as well as in industrial practice. His research specialty lies in developing methods to control chemical processes. Braatz also works with local high school teachers to develop approaches to teach secondary school chemistry. Scott D. Johnson, human resource education: A faculty member in the College of Education since 1987, Johnson is an expert on learning and instruction related to technical content central in engineering schools, technical institutes, and corporate education and training center. He has developed an intelligent computer tutor to test theoretical assumptions about the cognitive processes involved in technical troubleshooting. Yi Lu, chemistry: Internationally known for his study of metalloproteins, Lu has established himself as one of the nation�s most accomplished young professors in the field of bioinorganic chemistry. His discoveries, at the interface of inorganic chemistry, molecular biology and protein engineering, are revolutionizing the understanding of important biochemical issues, particularly the interactions of metal ions with proteins, DNA and RNA. Eric Michielssen, electrical and computer engineering: Michielssen has made key and pioneering contributions to the field of computational electromagnetics. He is responsible for the development of numerous fast schemes for solving time and frequency domain integral equations pertinent to the analysis of electromagnetic phenomena. Nancy R. Sottos, theoretical and applied mechanics: An expert on smart materials, Sottos and colleagues developed a material that displayed the bio-mimetic property of healing itself when damaged. In 1995, she worked with a team that developed a variant of compressed fiber board using corn husks. A popular adviser of graduate students, Sottos has been recognized many times as Best Adviser in the College of Engineering. 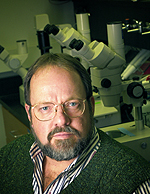 Matthew B. Wheeler, animal sciences: A nationally and internationally known scholar in gamete and embryo physiology, Wheeler has developed a novel system based on microfluidic channel technology for assisted reproduction in livestock and humans. 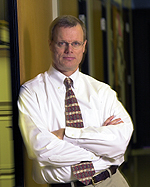 He also is recognized for his teaching ability, both at the undergraduate and graduate level, and, in 1999, was the recipient of the D.E. Becker Award for Excellence in Undergraduate Teaching and Counseling from his department.